As sheep producers’ minds start to turn to tupping time, Laura Bowyer checked out the trade at the early NSA sale at Builth. Tycam Y Bardd from Gary and Meinir Howells, Pentrecwrt Llandysul sold at 1,750gns. 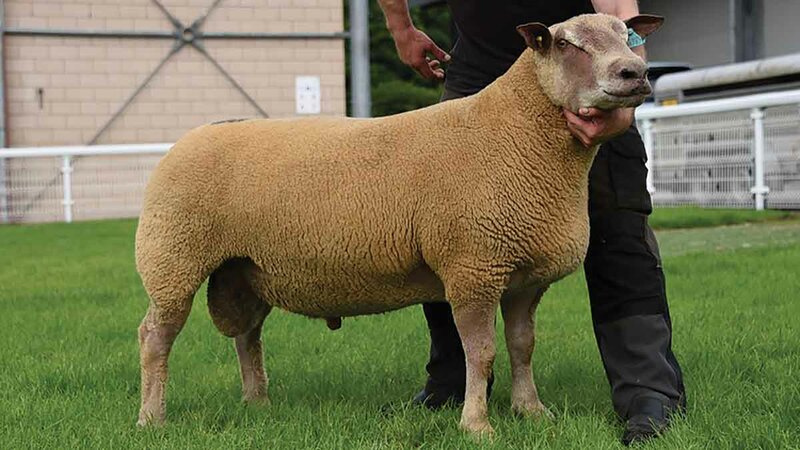 Grossing more than £250,000 for the first time ever, this year’s NSA Wales and Border early ram sale held on the Royal Welsh Showground saw 426 sheep sell with a clearance of 76.48 per cent, with averages higher than last year in almost every breed. Topping the money was Tycam Y Bardd, a Texel yearling from Gary and Meinir Howells, Pentrecwrt, Llandysul selling at 1,750gns to K. and J. Davies, Heyhope, Powys. 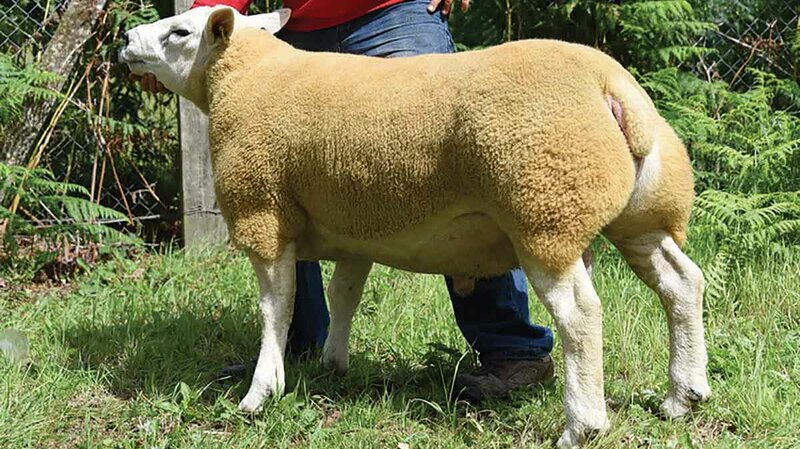 Being the couple’s highest price to date at a Builth sale, the home-bred male was out of a home-bred ewe and by Tycam Solo. The couple have 180 tups for sale this year of both Texels and Bluefaced Leicester cross Texels and will have a run of 55 pure-breds at the NSA main sale at Builth under the Tycam and Shadog prefixes. A Texel yearling from F.H. Chave, Sampford Arundel sold to R.J. Elliot, Kislingbury for 1,200gns. With Texels continuing to draw the bids, second highest price on the day was another yearling, this time from the Chave family with Peacehay You’re Special. 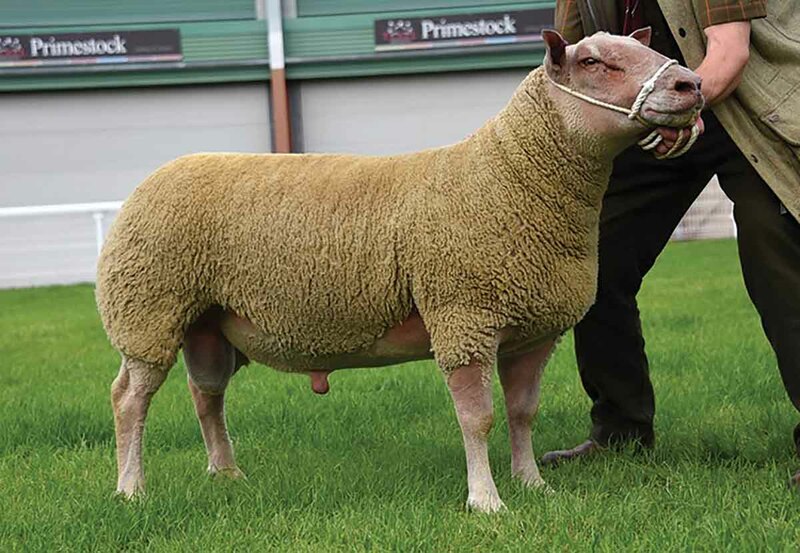 By the home-bred Peacehay Untouchable he is out of a Cabetran Trojan daughter and was knocked down to Roger and Tom Elliot, Kislingbury, Northamptonshire who will use it on their 10-ewe pedigree flock. Another from Mr and Mrs Howells wasknocked down at 1,100gns to R. Enyon, Beulah. Out of a home-bred ewe, it by Hartside Up and At Um, which was bred by Malcolm Coubbrough, Biggar and purchased at Kelso for 3,400gns. Staying in the Texels, Drayton Farm Partnership, Petersfield, Hampshire then sold at 1,050gns, paid by E.T. Greenow and S.R. Jones, Tywyn, for Meon Down Yuga Khan, a Cennen Warrior son out of a dam by Meon Down Spartacus. Topping the mixed terminal sire ring was a non-MV accredited Texel from G.P. Williams, Dolwen which sold to G. Lewis, Old Hall, Powys for 1,080gns. The same vendor had the next three top prices in this ring including two at 920gns with one going to C. and G. Powell and son, Abercynithon and the other to A.H.J. Jones and son, Trefeinon, Brecon. Charollais prices reached 980gns on two occasions, once for a yearling Foulrice Prometheus son from Charles Marwood, Whenby, selling to Reg Brooke. Making the same money was a yearling Castellau Night Rider son from W.C. and R.L. Bowen’s Gwyndy flock, Llandeloy, Haverford West, going to Ben James, Tenbury. Mr Marwood also achieved 950gns for a Dalby Mount Aloe yearling son, going home with M.D. Bufton and J.D. Price. A Charollais yearling from Charles Marwood sold to Reg Brooke for 980gns. A Charollais yearling ram E.W. Quick and son, Crediton sold at 920gns to M.E. Jones. Top price Suffolk, a yearling from Charles and Matt Harding, Atterton which sold at 920gns to Harley Dufosee, Warminster. Two more Charollais yearlings sold at 920gns, another from the Bowen family, going again to Ben James, Tenbury and another from E.W. Quick and sons, Crediton, going to M.E. Jones. The latter is sired by Loosebeare Lord which is owned in partnership with the Alford family, Cullompton. The top three sale leaders in the Suffolk ring were all from Charles and Matt Harding, Atterton, Nuneaton, the highest generating 920gns for a yearling, which lies in the breed’s top 10 per cent of performance recording and sold to Harley Dufosee, Warminster to join his 30 pedigree ewes. Out of a home-bred ewe, it is by Sandyknowe Sole Trader, a sire bred by Malcolm Stewart, Melrose, purchased three years ago as a yearling for £1,600. The next two top bids for the Hardings’ Bentley males were both knocked down at 800gns to Glasnant Morgan, Talybont-on-Usk. The breeders will have 10 ram lambs at the NSA’s main sale next month. The highest priced cross-bred sold at 900gns from Robert Hughes and Sue Butterfield, Ferryside, Carmarthenshire to B. Watkins, Dolau, Powys. This home-bred two year old is out of a Hampstead Charollais ewe and by a pedigree Beltex bred by Rob Rattrey, Aberystwyth. 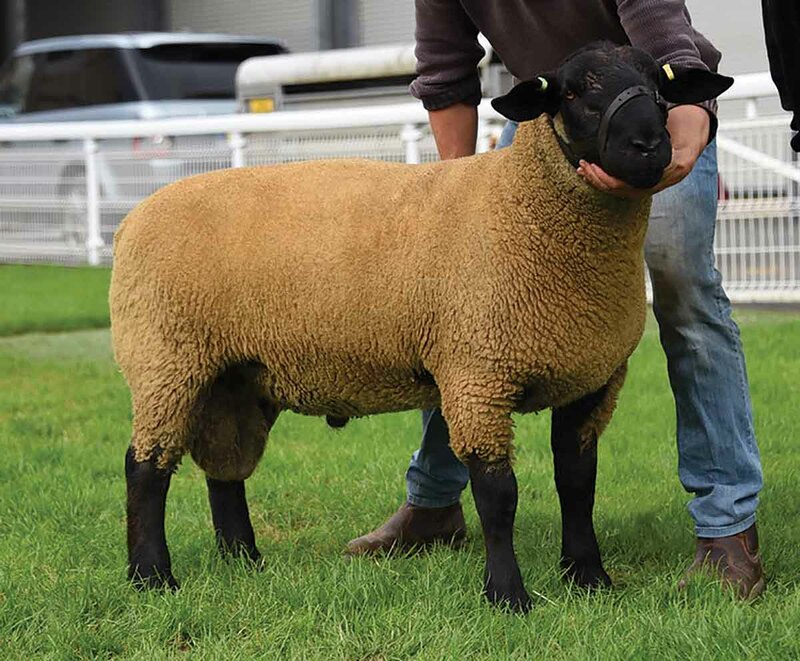 This is the best price the pair have had at a Builth sale and they are looking to increase their production of cross-bred rams, alongside the pedigree Beltex enterprise. Charollais: MVA yearling rams, £605.82 (£529.79); MVA ram lambs, £428.88 (£385.65); non-accredited rams, £420 (£509.25); cross-bred rams, £527.10 (not available). 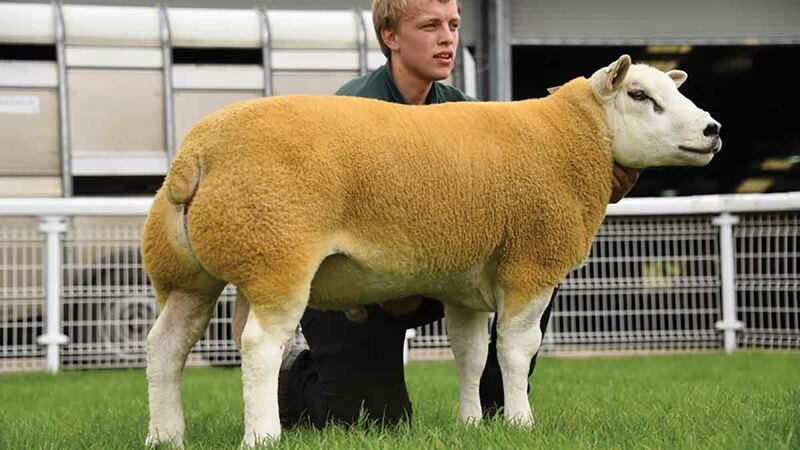 Texel: Yearling rams, £617.71 (£548.73); yearling ewes, £458.85 (£388.50); non-accredited yearling rams, £561.32 (£720.06); cross-bred rams, £532.87 (not available). Suffolk: MVA Western Area Club (WAC) show and sale rams, £722.40 (£941.50); MVA WAC ram lambs, £470.31 (£591.28); MVA rams, £486.94 (£567); non-accredited rams, £506.63 (£392.50). Hampshire Down: rams, £262.50 (£210). Blue Texel: rams, £624.75 (£234). Poll Dorset: rams, £204.75 (£255). Charmoise Hill: rams, £288.75 (not available). Auctioneers: Brightwells; Clee, Tompkinson and Francis; J. Straker, Chadwick and sons; McCartneys.